“Restless, unfocused and unmotivated” are the words Tiffany Abrams, a Special Education teacher at Pine River-Backus Schools used to describe her 7th-grade class at the beginning of the 2016 school year. According to Abrams, they had a difficult time being independent learners. Pine River is a town in northern Minnesota with a small population–only 944–but big pride in its school district. Educators within the district aim to inspire and uplift young people to become curious, capable and motivated individuals of the world. To do that, Pine River-Backus Schools decided to partner with Search Institute. Search Institute has a 50+ year legacy of linking research and practice to address critical issues in education and youth development. 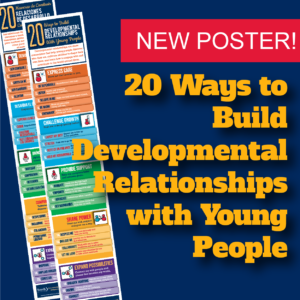 They have developed several research-based resources for teachers, families, and youth service organizations to use in order to help youth thrive on their path to adulthood. In 2012, Search Institute began a pilot program for schools to increase student motivation through building social-emotional strengths. The program, called REACH, focused on a framework with five areas: Relationships, Effort, Aspirations, Cognition, and Heart. This dynamic framework lets schools measure and improve motivation through surveys, workshops and school-wide implementation. The REACH system was just what Pine River-Backus was looking for. For Search Institute, working with Pine River-Backus was a way to see their research come to life. They conducted site visits, training workshops, and walked through data with school staff in order to bring motivational tools to administrators and teachers, and ultimately to the students themselves. Abram’s students were the kind of students that REACH could help. Outside of her class, students would learn Anchor Activities, tools and techniques for teachers and students to learn new ways to think about themselves, their relationships, study habits, and aspirations. Once in her class, Abrams reinforced these concepts through her lessons. One student in particular, had trouble staying motivated. Although Abrams could see he was talented, he didn’t apply himself. He seemed to be disengaged during class time didn’t put much effort into homework. Abrams was able to utilize what she knew about the REACH framework to motivate this student’s interest in learning. She utilized the Heart component of the framework through Anchor Activities that sparked the student’s interests. She found his passions and forged a meaningful relationship with the student through his sparks. By the end of the year, he was working independently and consistently asking for more challenging assignments. 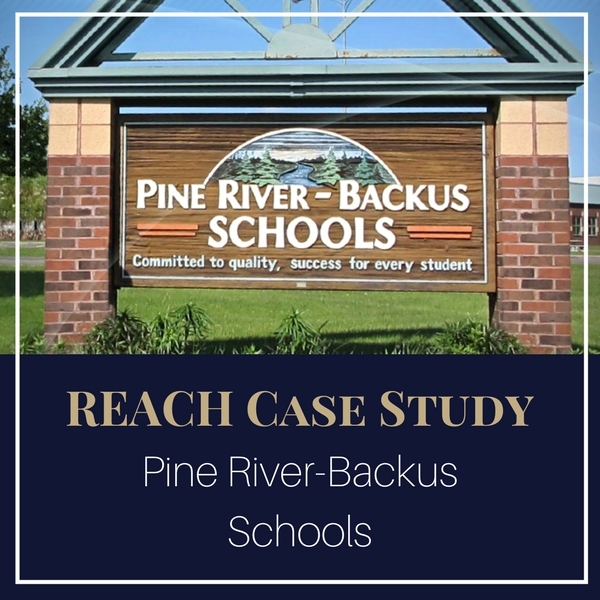 At Pine River-Backus Schools, the REACH program has been a way for staff to improve their relationships with students and help students explore their true potential on their way to becoming thriving adults.